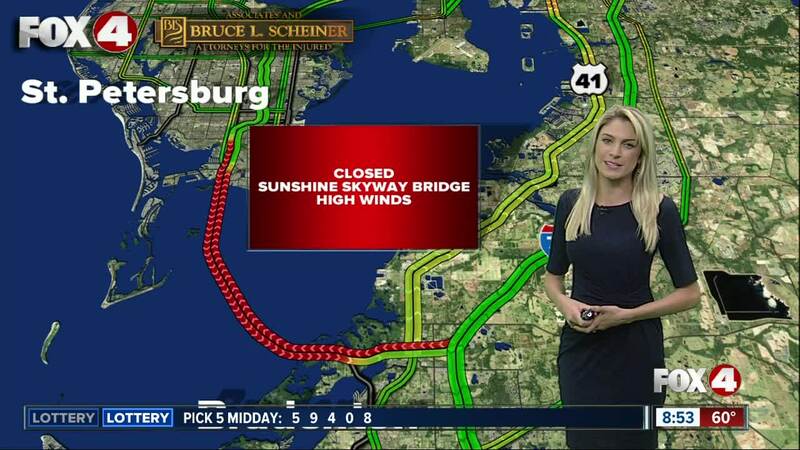 TAMPA BAY, Fla. -- High winds throughout the Bay Area have caused officials to close the Sunshine Skyway Bridge Friday morning. At approximately 7:49 a.m. FHP made the decision to close the bridge. They say wind speeds have accelerated to 57 mph and gusts have reached 64 mph. The bridge is closed to all traffic.